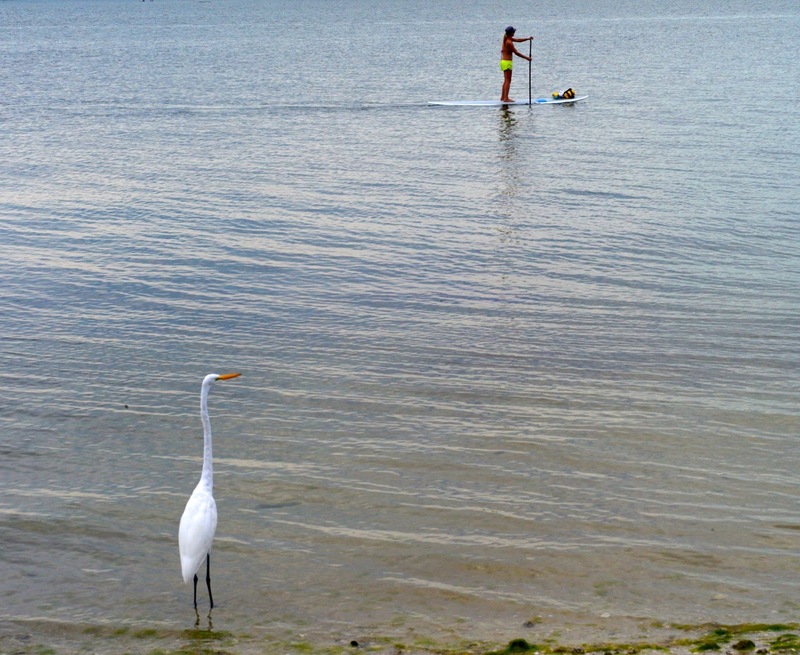 The Great White Egret observes a standup paddleboarder gliding by at the Gulf of Mexico, Florida. Paul Goldfinger. 2013. © Left click for a bigger bird.